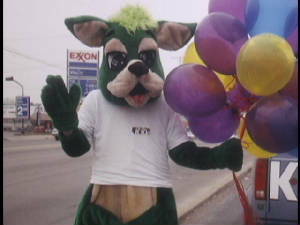 the grass was greener, then returned through 1991.
portraying Pockets the K104 Kangaroo. Chris currently works in Lynchburg, Virginia with the Lynchburg Police Department. and creates websites in his free time. Check out http://eriechris.tripod.com .